Nobilia kitchens are all unique and manufactured to order to your specification and their attention to quality and finish is second to none. 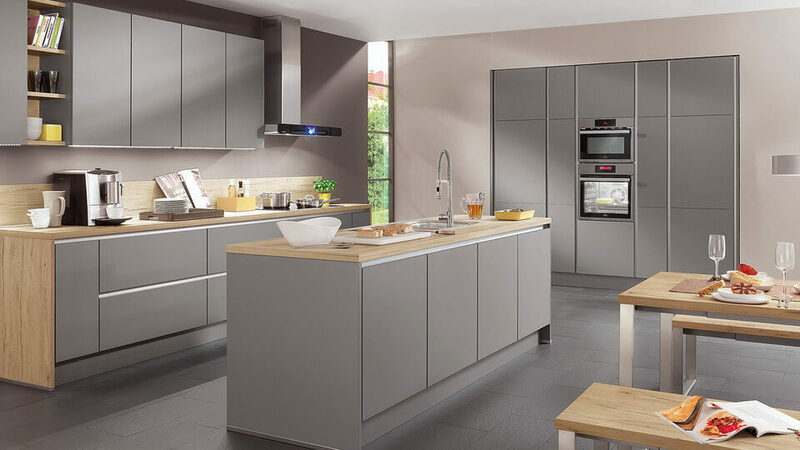 Founded in 1945 and now making 630,000 kitchens a year at their two factories in Germany, Nobilia is the largest kitchen manufacturer in Germany and you can really rely on them to deliver the perfect kitchen. We have always had wonderful results when recommending a Nobilia kitchen to our customers. If you visit our North London kitchen showroom (on Finchley Road) you will find plenty of options to view and get a great feel for what they have to offer. All you need to do is sit with one of our designers to have a chat about what you want from your new kitchen and we can then come up with some inspiring ideas. Glossy or matt finish or perhaps you are considering a sleek handleless kitchen with a lovely modern feel to it. Our 3D design software lets you see your kitchen as if it has already been installed in your home and you can view it from any angle to ensure the kitchen really will work for you. We can also supply you will all the kitchen appliances and arrange the delivery and fitting of everything too. Nobilia kitchens offer great value for money and are very reliable as a manufacturer which ensures a smooth project from start to finish. All the units are pre-assembled so they arrive ready to slot into place which reduces the installation time required. Shelf and drawer fittings are all built to withstand substantial loading and used with a typical shelf in a Nobilia kitchen taking up-to 70kg in weight with a similar performance from their pull out drawers (minimum 50kg). German kitchens are designed around an adaptable grid system which, in the case of Nobilia, offers great flexibility to maximise the use of your available space. There are, for example, four different plinth heights, three base unit heights and five different wall unit heights. All of these can be combined and mixed to create the ideal look and perfect symmetry of your new kitchen. Call 020 8455-3226 and arrange to come and discuss installing a Nobilia kitchen.